Be on your guard lest your zeal degenerate into anxiety and eagerness. 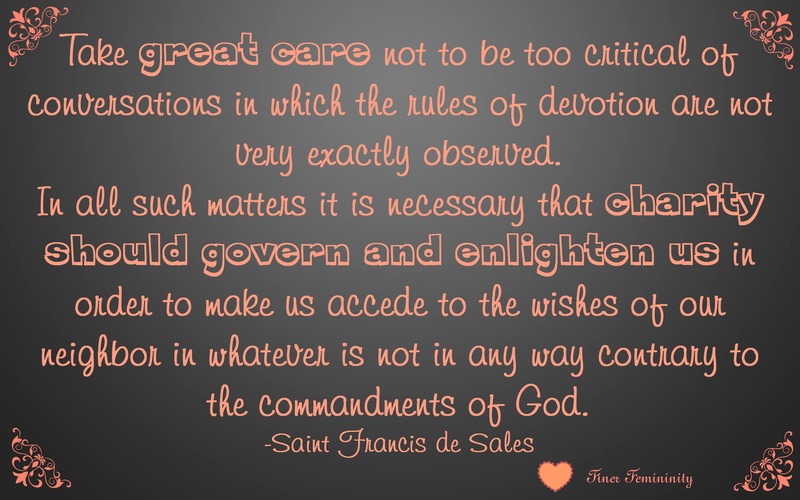 Saint Francis de Sales was a most pronounced enemy of these two defects. They cause us to lose sight of God in our actions and make us very prone to impatience if the slightest obstacle should interfere with our designs. It is only by acting peacefully that we can serve the God of peace in an acceptable manner. “Do not let us suffer our peace to be disturbed by precipitation in our exterior actions. When our bodies or minds are engaged in any work, we should perform it peacefully and with composure, not prescribing for ourselves a definite time to finish it, nor being too anxious to see it completed.”—Scupoli. Martha was engaged in a good work when she prepared a repast for our divine Lord, nevertheless He reproved her because she performed it with anxiety and agitation. This goes to show, says Saint Francis de Sales, that it is not enough to do good, the good must moreover be done well, that is to say, with love and tranquility. If one turn the spinning-wheel too rapidly it falls and the thread breaks. Whenever we are doing well we are always doing enough and doing it sufficiently fast. Those persons who are restless and impetuous do not accomplish any more and what they do is done badly. 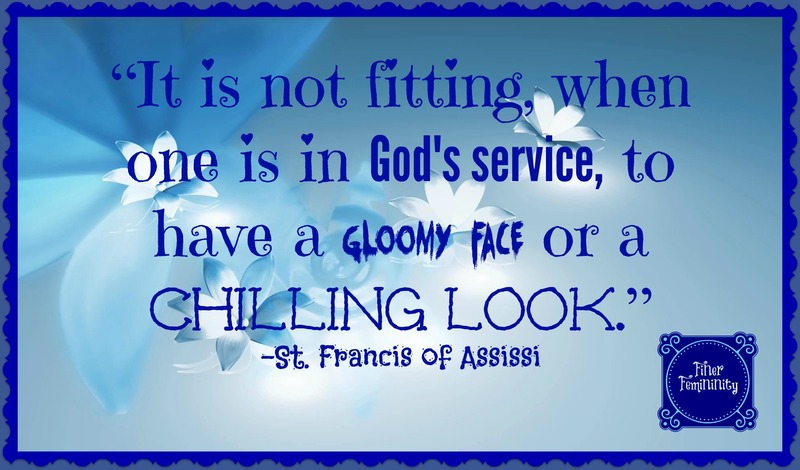 Saint Francis de Sales was never seen in a hurry no matter how varied or numerous might be the demands made upon his time. However, do not on the other hand succumb to sloth and indifference. All extremes are to be avoided. Cultivate a tranquil activity and an active tranquility. In order to acquire tranquility in action it is necessary to consider carefully what we are capable of accomplishing and never to undertake more than that. It is self-love, ever more anxious to do much than to do well, which urges us on to burden ourselves with great undertakings and to impose upon ourselves numerous obligations. “It appears to me that you are over eager and anxious in the pursuit of perfection…. Now I tell you truthfully, as it is said in the Book of Kings, that God is not in the great and strong wind, nor in the earthquake, nor in the fire, but in the gentle movement of an almost imperceptible breeze…. Anxiety and agitation contribute nothing towards success. The desire of success is good, but only if it be not accompanied by solicitude. I expressly forbid you to give way to inquietude, for it is the mother of all imperfections…. Peace is necessary in all things and everywhere. If any trouble come to us, either of an interior or exterior nature, we should receive it peacefully: if joy be ours, it should be received peacefully: have we to flee from evil, we should do it peacefully, otherwise we may fall in our flight and thus give our enemy a chance to kill us. Society is attacking the family and men, specifically. Why? What have they said about their plan? How do men become more virtuous? The Following are Wonderful Words of Wisdom on the Virtue of Humility taken from Light and Peace by Quadrupani. Few persons have a correct idea of this virtue. It is frequently confused with servility or littleness. To attribute to God what is God’s, that is to say everything that is good, and to ourselves what is ours, that is to say, everything that is evil: these are the essential characteristics of true humility. *Hence it would appear at first sight that simple good sense ought to suffice to make men humble. Such would be the case were it not that our faculties have been impaired and vitiated in their very source by pride, that direful and ineffaceable consequence of original sin. The first man, a creature owing his existence directly to God, was bound to dedicate it entirely to Him and to pay continual homage for it is as for all the other gifts he had received. This was a duty of simple justice. The day whereon he asserted a desire to be independent, he caused an utter derangement in the relations of the creature with his Creator. 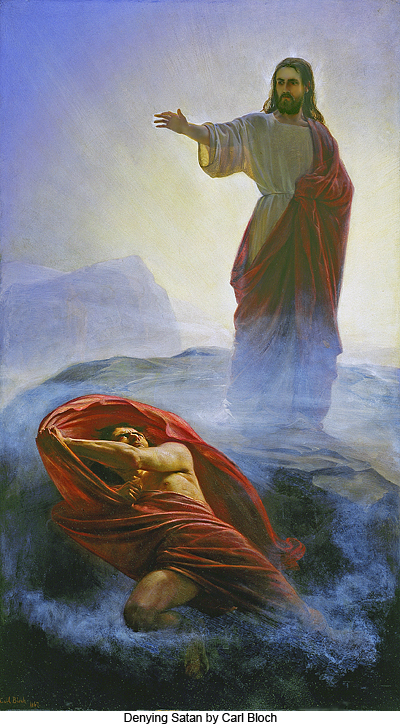 Pride, that tendency to self-sufficiency, to refer to self the use of the faculties received from God—pride, introduced into the soul of the first man by a free act of his will, has attached itself as an indelible stigma to the souls of all his descendants, and has become forevermore a part of their nature. Thence comes this inclination, ever springing up afresh, to be independent, to be something of ourselves, to desire for ourselves esteem, affection and honor, despite the precepts of the divine law, the claims of justice and the warnings of reason; and thus it is that the whole spiritual life is but one long and painful conflict against this vicious propensity. Divine grace though sustaining us in the combat never gives us a complete victory, for the struggle must endure until death,—the closing chastisement of our original degradation and the only one that can obliterate the last traces thereof. As God drew from nothingness everything that exists, in like manner does He wish to lay the foundations of our spiritual perfection upon the knowledge of our nothingness. Saint Bonaventure used to say: Provided God be all, what matters it that I am nothing! When a Christian who is truly humble commits a fault he repents but is not disquieted, because he is not surprised that what is naught but misery, weakness and corruption, should be miserable, weak and corrupt. He thanks God on the contrary that his fall has not been more serious. Thus Saint Catherine of Genoa, whenever she found she had been guilty of some imperfection, would calmly exclaim: Another weed from my garden! 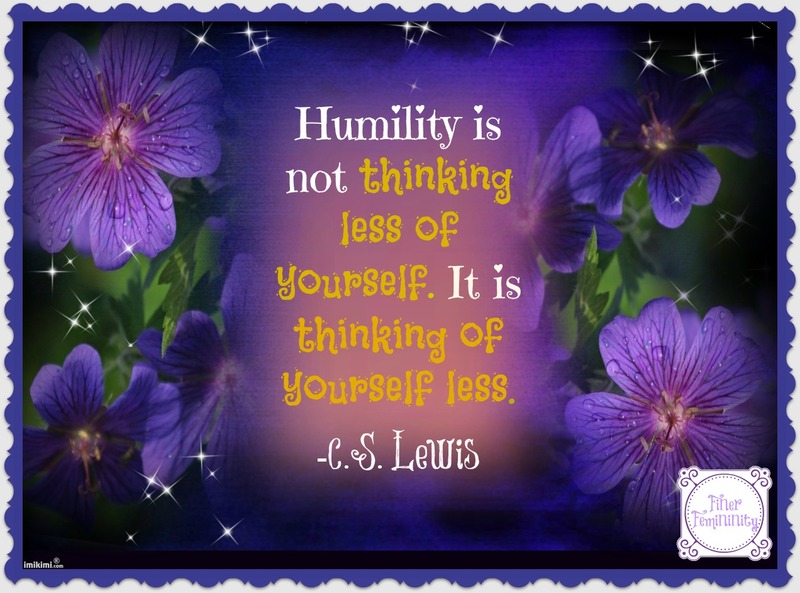 Some persons have the erroneous idea that in order to be humble they must not recognize in themselves any virtue or talent whatsoever. The reverse is the case according to Saint Thomas, for he says it is necessary to realize the gifts we have received that we may return thanks for them to Him from whom we hold them. To ignore them is to fail in gratitude towards God, and to neglect the object for which He gave them to us. All that we have to do is to avoid the folly of taking glory to ourselves because of them. Mules, asses and donkeys may be laden with gold and perfumes and yet be none the less dull and stupid animals. The graces we have received, far from giving us any personal claims, only serve to increase our debt to Him who is their source and their donor. Praise is naturally more pleasing to us than censure. There is nothing sinful in this preference, for it springs from an instinct of our human nature of which we cannot entirely divest ourselves. Only the praise must be always referred to Him to whom it is due, that is to say, to God; for they are His gifts that are praised in us as we are but their bearers and custodians and shall one day have to render Him an account for them in accordance with their value. The soul that is most humble will also have the greatest courage and the most generous confidence in God; the more it distrusts itself, the more it will trust in Him on whom it relies for all its strength, saying with Saint Paul: I can do all things in Him who strengtheneth me. 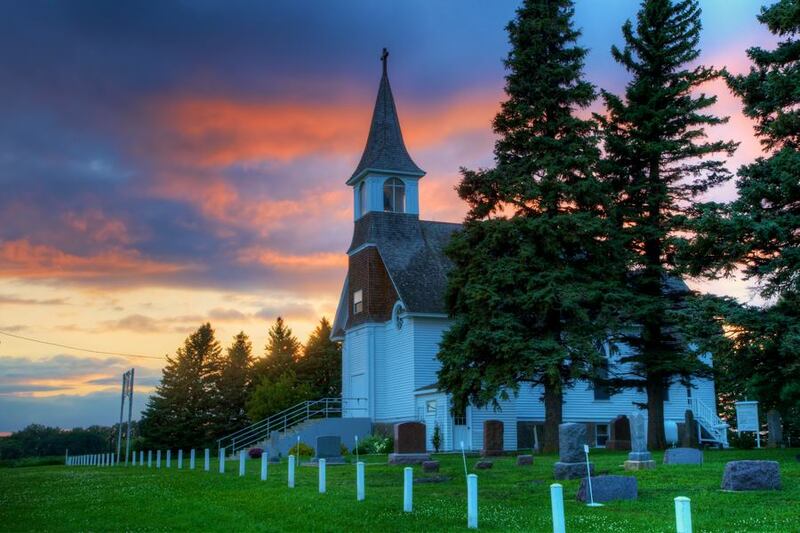 Saint Thomas clearly proves that true Christian humility, far from debasing the soul, is the principle of everything that is really noble and generous. He who refuses the work to which God calls him because of the honor and éclat that accompany it, is not humble but mistrustful and pusillanimous. We shall find in obedience light to show us with certainty that to which we are called and to preserve us from the illusions of self-love and of our natural inclinations. It is even good and sometimes necessary to make known the gifts we have received from God and the good works of which divine grace has made us the instruments, when this manifestation can conduce to the glory of His name, the welfare of the Church, or the edification of the faithful. It was for this threefold object that Saint Paul spoke of his apostolic labors and supernatural revelations. 1. 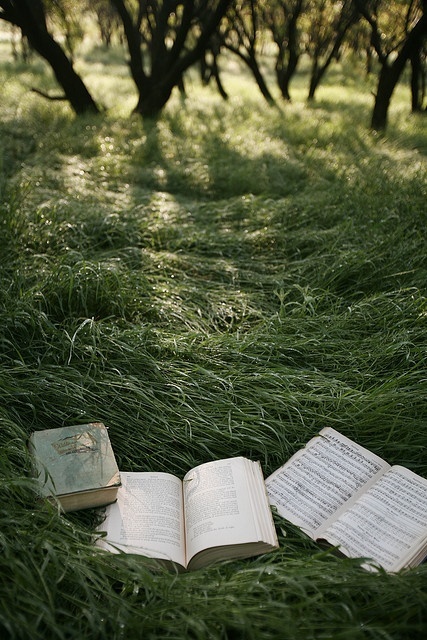 Spiritual reading is to the soul what food is to the body. Be careful, therefore, to select such books as will furnish your soul with the best nourishment. 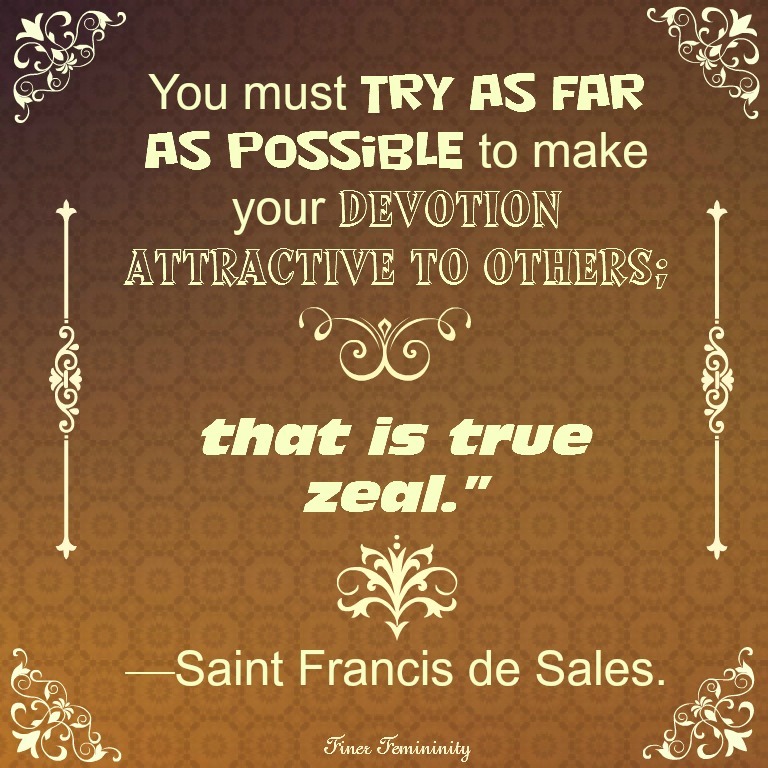 I would recommend you to become familiar especially with the works of Saint Francis de Sales. 2. When the choice of reading matter is made by the advice of a spiritual director the teaching it contains should be looked upon as coming from the mouth of God. 3. Do not affect those lives of the Saints in which the supernatural and marvelous predominate. The devout imagination becomes inflamed by such reading and is imbued with vain and useless desires: it leads some to aspire to the revelations of Saint Bridget or the raptures of Saint Joseph of Cupertino, others to imitate the mortifications of the Stylites; and thus by losing time in desiring extraordinary graces, they neglect, to their great detriment, ordinary duties and real obligations. 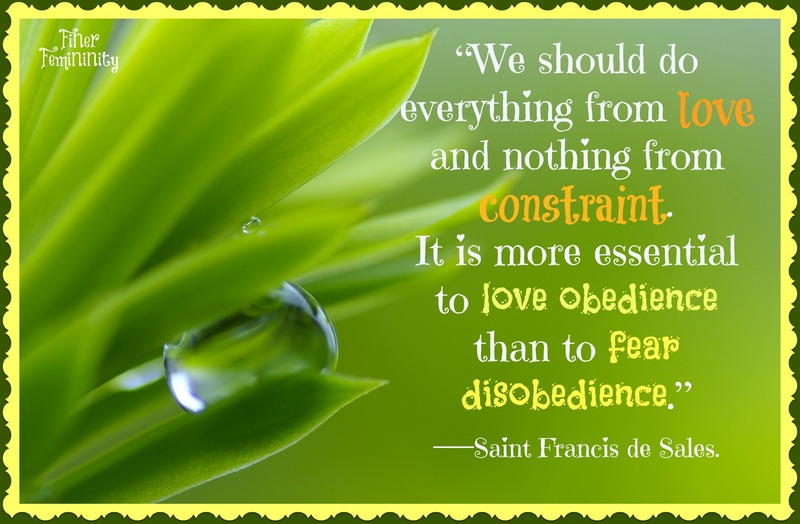 Take great care, then, not to allow yourself to be absorbed in those wonderful characteristics of the saints which we should be content to admire; give preference rather to their simple and interior virtues, for these alone are imitable for us. Sienna’s, and give us His in return. But we should desire that our poor hearts no longer live save in subjection to the Heart of our loving Savior, and this will be the best way of imitating Saint Catherine, for we shall thus become meek, humble and charitable…. True holiness consists in love of God, and not in foolish imaginations and dreamings that nourish self-love whilst they undermine obedience and humility. The desire to have ecstasies and visions is a deception. Let us turn rather to the practice of true meekness and submissiveness, of self-renunciation and docility, of ready compliance with the wishes of others. Thus we shall emulate the saints in what is more real and more admirable for us than ecstasies.”—St. Francis de Sales. 4. Use still greater precautions in regard to ascetical works. Many of these are carelessly written, confound precepts with counsels, badly define the virtues by not showing the limits beyond which they become extravagances, and entertain the reader with trifling and purely exterior practices that are more apt to flatter self-love than to reform the heart. 5. It has been remarked very justly by a learned theologian that the ignorance and indiscreet zeal of certain writers of ascetical books have furnished the heretics of later times with arms to attack our holy religion and to turn it into ridicule. An author should be equally well versed in theory and experienced in practice, otherwise he will err either in regard to principles or to their application. It is essential, in matters of religion especially, to give none but true and precise ideas, or else they will do more harm than good. Doctrines that are not exact create scruples in weak souls and invite the criticisms of intelligent Christians, whilst they excite the railleries of free-thinkers and furnish arguments to unbelievers. 7. Almost every day we find ascetical works published which contain many inaccuracies of the kind described. Exercise great care, therefore, in the selection of this kind of reading or you may injure your soul instead of sanctifying it. The safest course is to consult your director on the subject. An excellent sermon for your Sunday! Excellent books! With God in Russia and the sequel He Leadeth Me! “In With God in Russia, Ciszek reflects on his daily life as a prisoner, the labor he endured while working in the mines and on construction gangs, his unwavering faith in God, and his firm devotion to his vows and vocation. Enduring brutal conditions, Ciszek risked his life to offer spiritual guidance to fellow prisoners who could easily have exposed him for their own gains. He chronicles these experiences with grace, humility, and candor, from his secret work leading mass and hearing confessions within the prison grounds, to his participation in a major gulag uprising, to his own “resurrection”—his eventual release in a prisoner exchange in October 1963 which astonished all who had feared he was dead. Is your zeal rightly ordered? This chapter goes through the signs of good zeal and of bad zeal. There is a fine line. For the anger of man worketh not the justice of God. (St. James, Cath. 1. Zeal for the salvation of souls is a sublime virtue, and yet how many errors and sins are every day committed in its name! Evil is never done more effectually and with greater security, says Saint Francis de Sales, than when one does it believing he is working for the glory of God. 2. The saints themselves can be mistaken in this delicate matter. We see a proof of this in the incident related of the Apostles Saint James and Saint John; for our Lord reprimanded them for asking Him to cause fire from heaven to fall upon the Samaritans. examine attentively, as there are more counterfeits than good ones. Zeal to be pure should be accompanied with very great humility, for it is of all virtues the one into which self-love most easily glides. When it does so, zeal is apt to become imprudent, presumptuous, unjust, bitter. Let us consider these characteristics in detail, viewing them, for the sake of greater clearness, in their practical bearings. 4. In every home there grows some thorn, something, in other words, that needs correction; for the best soil is seldom without its noxious weed. Imprudent zeal, by seeking awkwardly to pluck out the thorn, often succeeds only in plunging it farther in, thus rendering the wound deeper and more painful. In such a case it is essential to act with reflection and great prudence. There is a time to speak and a time to be silent, says the Holy Spirit. Prudent zeal is silent when it realizes that to be so is less hurtful than to speak. meddle in the domestic affairs of strange families, blaming, counseling, attempting to reform without measure or discretion, thus causing an evil much greater than the one they wish to correct. Let us employ the activity of our zeal in our own reformation, says Saint Bernard, and pray humbly for that of others. It is great presumption on our part thus to assume the role of apostles when we are not as yet even good and faithful disciples. Not that you should be by any means indifferent to the salvation of souls: on the contrary you must wish it most ardently, but do not undertake to effect it except with great prudence, humility and diffidence in self. 6. Again, there are pious persons whose zeal consists in wishing to make everybody adopt their particular practices of devotion. 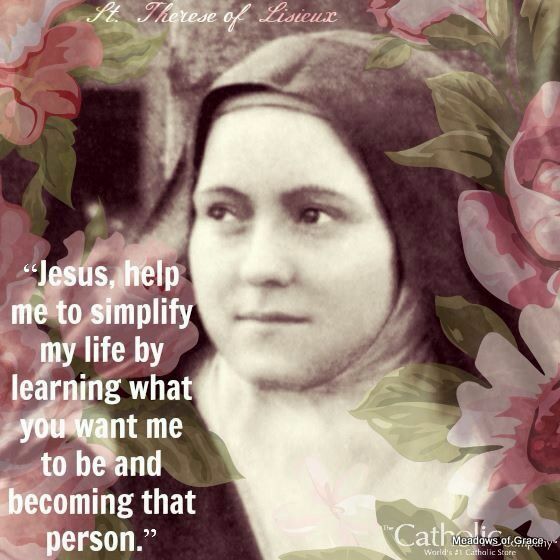 Such a one, if she has a special attraction for meditating on the Passion of our divine Lord or for visiting the Blessed Sacrament, would like to oblige every one, under pain of reprobation, to pass long hours prostrate before the crucifix or the tabernacle. Another who is especially devoted to visiting the poor and the sick and to the other works of corporal mercy, acknowledges no piety apart from these excellent practices. Now, this is not an enlightened zeal. Martha and Mary were sisters, says Saint Augustine, but they have not a like office: one acts, the other contemplates. If both had passed the day in contemplation, no one would have prepared a repast for their divine Master; if both had been employed in this material work, there would have been no one to listen to His words and garner up His divine lessons. The same thing may be said of other good works. In choosing among them each person should follow the inspirations of God’s grace, and these are very varied. The eye that sees but hears not, must neither envy nor blame the ear that hears but sees not. _Omnis spiritus laudet Dominum:_ let every spirit praise the Lord, says the royal prophet. works not in conformity with your position, however good and useful they may be in themselves, is always a false one. This is especially true if such cause us interior trouble or annoyance; for the holiest things are infallibly displeasing to God when they do not accord with the duties of our state of life. 8. Saint Paul condemned in strong terms those Christians who showed a too exclusive preference for their spiritual masters; some admitting as truth only what came from the mouth of Peter, others acknowledging none save Paul, and others again none but Apollo. What! said he to them, is not Jesus Christ the same for all of you! Is it then Paul who was crucified for you? Is it in his name you were baptized? This culpable weakness is often reproduced in our day. Persons otherwise pious carry to excess the esteem and affection they have for their spiritual directors, exalt without measure their wisdom and holiness, and do not scruple to depreciate all others. God alone knows the true value of each human being, and we have not the scales of the sanctuary to weigh and compare the respective wisdom and sanctity of this and that person. If you have a good confessor, thank God and try to render his wisdom useful to you by your docility in allowing yourself to be guided; but do not assume that nobody else has as good a one. To depreciate the merits of some in order to exalt those of others at their expense is a sort of slander, that ought to be all the more feared because it is generally so little recognized. These words of an Apostle should furnish matter of reflection for those persons who, whilst making profession of piety, are so prone to irritability, so harsh and rude in their manners and language, that they might be taken for angels in church and for demons elsewhere. resemble its mother and show itself like to her in all things. like your spirituality if they are lovingly consoled by it; your family, if they find that it makes you more thoughtful of their welfare, gentler in every day affairs, more amiable in reproving, and so on; your husband, if he sees that in proportion as your devotion increases you become more cordial and tender in your affection for him; your relations and friends, if they find you more forbearing, and more ready to comply with their wishes, should these not be contrary to God’s will. 11. Never allow your zeal to make you over eager to correct others, says the same Saint; and when you must do it remember that the most important thing to consider is the choice of the moment. A caution deferred can be given another time: one given inopportunely is not only fruitless, but moreover paralyses beforehand all the good that might have subsequently been done. neighbor, and to further it make use of whatever means God has placed in your power; but do not exceed these limits nor disquiet yourself about the good you are unable to do, for God can accomplish it through others. I shall neglect nothing, be anxious about nothing; as it is dangerous either to do God’s work negligently or to appropriate it to one’s self through self-love and false zeal. When our actions are prompted by our own inclinations, we do them badly, and are pretentious, restless, and anxious to succeed. The glory of God is the pretext that hides the illusion. Self-love disguised as zeal grieves and frets if it cannot succeed. O my God! give me the grace to be faithful in action, indifferent to success. My part is to will what Thou willest and to keep myself recollected in Thee amidst all my occupations: Thine it is to give to my feeble efforts such fruit as shall please Thee,—none if Thou so wishest.”—Fénelon. Looking for good reading suggestions? Take a peek at My Book List. My brethren, count it all joy when ye shall fall into divers temptations. (Epist. S. Jas., Cat., c. i, v. 2.) Now if I do that which I will not, it is no more I that do it, but sin, which dwelleth in me. (St. P., Rom., c. vii, v. 20.) 1. “If we are tempted,” says the Holy Spirit, “it is a sign that God loves us.” Those whom God best loves have been most exposed to temptations. Do not ask God to deliver you from temptations, but to grant you the grace not to succumb to them and to do nothing contrary to His divine will. He who refuses the combat, renounces the crown. Place all your trust in God and God will Himself do battle for you against the enemy. “These persistent temptations come from the malice of the devil,” says St. Francis de Sales, “but the trouble and suffering they cause us come from the mercy of God. Thus, despite the will of the tempter, God converts his evil machinations into a distress which we may make meritorious. Despise temptation, then, and open wide your soul to this suffering which God sends in order to purify you here that He may reward you hereafter. Look upon God as an infinitely good and tender father and believe that He only allows the devil to try His children that their merits may increase and their recompense be correspondingly greater. An enemy does not besiege a fortress that is already in his power, and the more obstinate the attack, the more certain We may be that our resistance continues. Your fears lead you to believe you are defeated at the very moment you are gaining the victory. 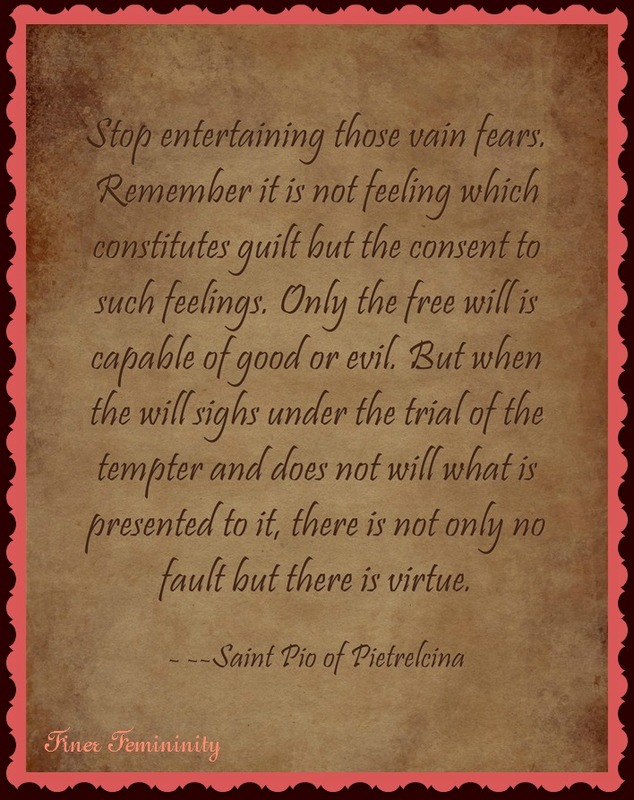 This comes from the fact that you confound feeling with consent, and, mistaking a passive condition of the imagination for an act of the will, you consider that you have yielded to the temptation because you felt it keenly. St. Francis de Sales, with his usual simplicity, thus describes this warring of the flesh against the spirit: “You are right, my dear daughter. There are two women within you … and the two children of these different mothers quarrel, and the good-for-nothing one is so bad that sometimes the good one can scarcely defend herself, and then she takes it into her head that she has been worsted and that the wicked one is braver than she. Now, surely, this is not true. The bad one is not the stronger by any means, but only slyer, more persistent and more obstinate. It is not always in our power to restrain the imagination. St. Jerome had retired into the desert and still his fancy represented to him the dances of the Roman ladies. His body was benumbed, as it were, and his blood chilled by the severity of his mortifications, and yet the flames of concupiscence encompassed and tortured his heart. During these frightful conflicts the holy anchorite suffered, but he did not sin; he was tormented but was not guilty; on the contrary, his merits were augmented in the sight of God in proportion to the intensity of the temptations. The holy abbot St. Anthony was wont to say to the phantoms of his mind: I see you, but I do not look at you: I see you because it does not depend upon me that my imagination places before my eyes things I would wish not to see; I do not look at you because with my will I repulse and reject you. The attraction of the feelings towards the object presented by the imagination is at times so strong that the will seems to have been carried away and overcome by a sort of fascination. This, however, is not the case. The will suffered, but did not consent; it was attacked and wounded, but not conquered. This state of things coincides with what St. Paul says of the revolt of the flesh against the spirit and of their unceasing warfare. The soul, indeed, experiences strange sensations, but as she does not consent to them, she passes through the ordeal unsullied, just as substances coated with oil may be immersed in water without absorbing a single drop of it. St. Francis de Sales explains this distinction so plainly and yet so simply in one of his letters, that it may be useful to repeat the passage here: “Courage, my dear soul, I say it with great love in Jesus Christ, dear soul, courage! As long as we can exclaim resolutely, even though without feeling, My Jesus! there is no cause for alarm. Do not tell me it appears to you that you say it in a cowardly way, and only by doing great violence to yourself. It is precisely this holy violence that bears away the kingdom of heaven. Do you not see, my daughter, it is a sign that the enemy has taken everything within our fortress except the impenetrable, unconquerable tower—and that can never be lost save by willful surrender. This tower is the free-will which, perfectly visible to the eye of God, occupies the highest and most spiritual region of the soul, dependent on none but God and oneself; and when all the other faculties are lost and in subjection to the enemy, it alone remains free to give or to refuse consent. Suffering which comes to us from God is best; and that comes to us through our circumstances, our surroundings, ourselves, and those we live with: these come from God, being permitted by Him. They are the warp and woof of our spiritual life. -Rev. Daniel Considine, S.J. My favorite chapter from one of my favorite books! It is a dangerous error to seek recollection in sadness: it is the spirit of God that produces recollection; sadness is the work of the spirit of darkness. 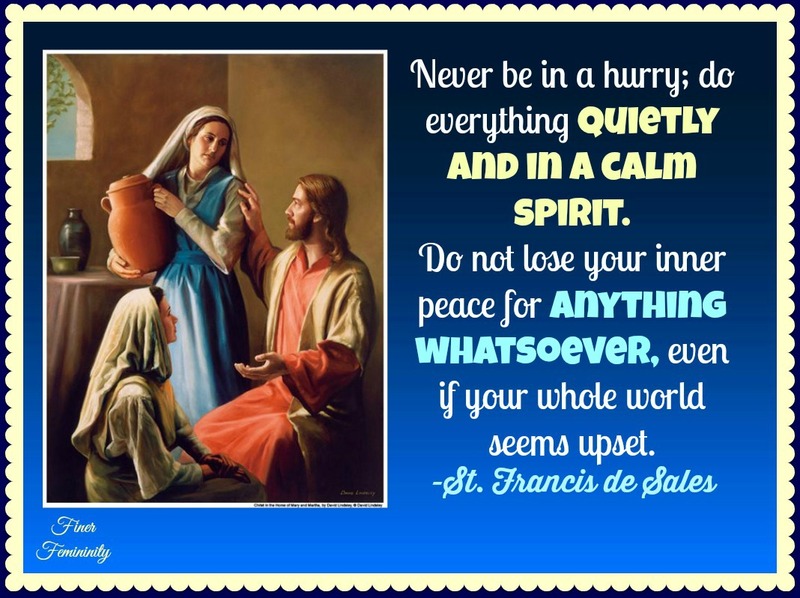 Do not forget the rule given by Saint Francis de Sales for the discernment of spirits: any thought that troubles and disquiets us cannot come from the God of peace, who makes his dwelling-place only in peaceful souls. “Yes, my daughter, I now tell you in writing what I before said to you in person, always be as happy as you can in well-doing, for it gives a double value to good works to be well done and to be done cheerfully. And when I say, rejoice in well-doing, I do not mean that if you happen to commit some fault you should on that account abandon yourself to sadness. For God’s sake, no; for that would be to add defect to defect. But I mean that you should persevere in the wish to do well, that you return to it the moment you realize you have deviated from it, and that by means of this fidelity you live happily in the Lord…. May God be ever in our heart, my daughter…. Live joyfully and be generous, for this is the will of God, whom we love and to whose service we are consecrated.”—Saint Francis de Sales. It is wrong to deny one’s self all diversion. The mind becomes fatigued and depressed by remaining always concentrated in itself and thus more easily falls a prey to sadness. Saint Thomas says explicitly that one may incur sin by refusing all innocent amusement. Every excess, no matter what its nature, is contrary to order and consequently to virtue. Recreations and amusements are to the life of the soul what seasoning is to our corporal food. Food that is too highly seasoned quickly becomes injurious and sometimes fatal in its effects; that which is not seasoned at all soon becomes unendurable because of its insipidity and unpalatableness. As to the amount of diversion it is right to take, no absolute measure can be given: the rule is that each person should have as much as is necessary for him. This quantity varies according to the bent of the mind, the nature of the habitual occupations, and the greater or less predisposition to sadness one observes in his disposition. When you find your heart growing sad, divert yourself without a moment’s delay; make a visit, enter into conversation with those around you, read some amusing book, take a walk, sing, do something, it matters not what, provided you close the door of your heart against this terrible enemy. As the sound of a trumpet gives the signal for a combat, so sad thoughts apprise the devil that a favorable moment has come for him to attack us. Our family LOVES this book! All of us who are “of age” have read it, and more than once. It is a love story. 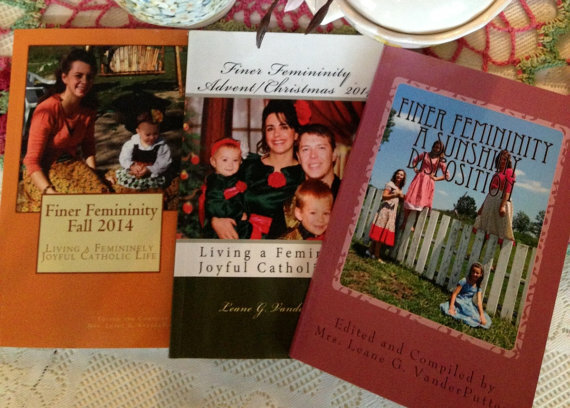 A love story of one special family’s undying devotion to Christ. Do you want to get your teenage children to read a great book? Hand them this one! “He was called the man of his age, the voice of his century. His influence towered above that of his contemporaries, and his sanctity moved God himself. Men flocked to him–some in wonder, others in curiosity, but all drawn by the magnetism of his spiritual gianthood. 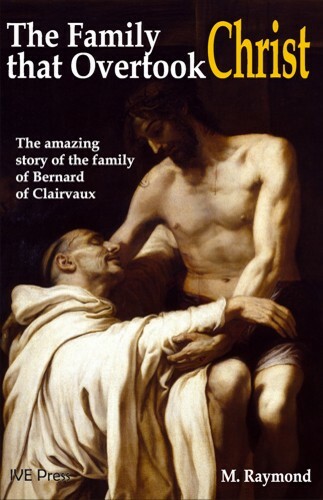 Bernard of Clairvaux–who or what fashioned him to be suitable for his role of counseling Popes, healing schisms, battling errors and filling the world with holy religious and profound spiritual doctrine? Undoubtedly, Bernard is the product of God’s grace. But it is hard to say whether this grace is more evident in Bernard himself or in the extraordinary family in which God chose to situate this dynamic personality. This book is the fascinating account of a family that took seriously the challenge to follow Christ… and to overtake Him. With warmth and realism, Venerable Tescelin, Blesseds Alice, Guy, Gerard, Humbeline, Andrew, Bartholomew, Nivard and St. Bernard step off these pages with the engaging naturalness that atttacks imitation. The following is taken from the book written in 1898, Light and Peace. 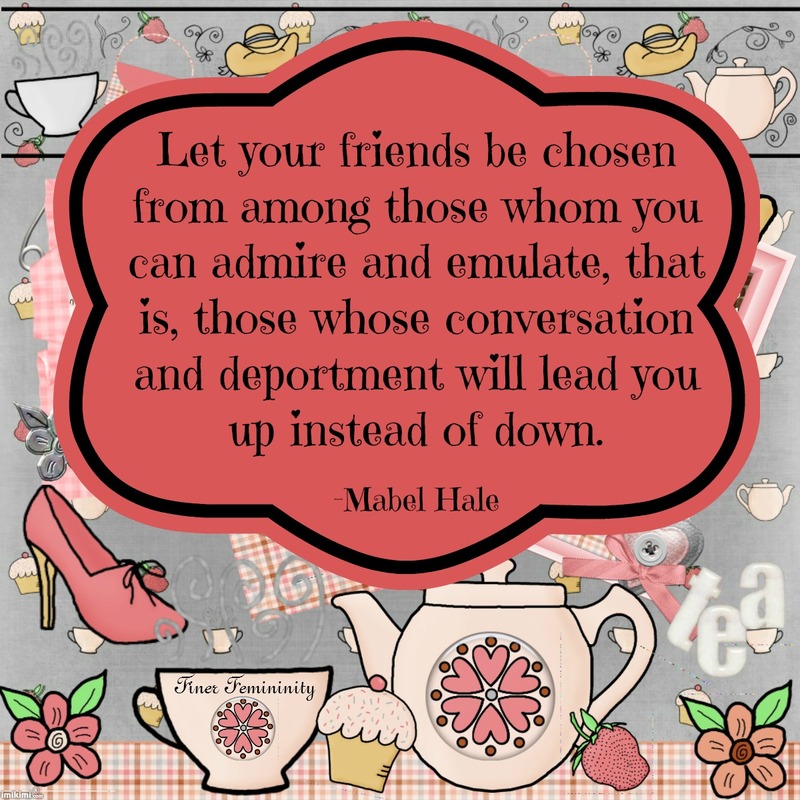 These wise words will guide us as we engage in conversation throughout each day. Neither do men light a candle and put it under a bushel, but upon a candlestick, that it may give light to all who are in a house. Conversation should be marked by a gentle and devout pleasantness, and your manner when engaged in it, ought to be equable, composed and gracious. Mildness and cheerfulness make devotion and those who practice it attractive to others. The holy abbot Saint Anthony, notwithstanding the extraordinary austerities of his penitential life, always showed such a smiling countenance that no one could look at him without pleasure. We should be neither too talkative nor too silent,—it is as necessary to avoid one extreme as the other. By speaking too much we expose ourselves to a thousand dangers, so well-known that they need not be mentioned in detail: by not speaking enough we are apt to be a restraint upon others, as it makes it seem as though we did not relish their conversation, or wished to impress them with our superiority. Do not conclude from this that it is necessary to count your words, as it were, so as to keep your conversation within the proper limits. This would be as puerile a scruple as counting one’s steps when walking. A holy spirit of liberty should dominate our conversations and serve to instill into them a gentle and moderate gaiety. If you hear some evil spoken of your neighbor do not immediately become alarmed, as the matter may be true and quite public without your having been aware of it. Should you be quite certain that there is calumny or slander in the report, either because the evil told was false or exaggerated or because it was not publicly known, then, according to the place, the circumstances and your relations towards those present, say with moderation what appears most fitting to justify or excuse your neighbor. Or you may try to turn the conversation into other channels, or simply be content to show your disapprobation by an expressive silence. Remember, for the peace of your conscience, that one does not share in the sin of slander unless he gives some mark of approbation or encouragement to the person who is guilty of it. Do not imitate those who are scrupulous enough to imagine that charity obliges them to undertake the defense of every evil mentioned in their presence and to become the self-appointed advocates of whoever it may be that has deserved censure. The regard we owe our neighbor does not bind us to a politeness that might be construed as an approval or encouragement of his vicious habits. Hence if it happens that you hear an equivocal jest, a witticism slurring at religion or morals, or anything else that really offends against propriety, be careful not to give, through cowardice and in spite of your conscience, any mark of approbation, were it only by one of those half smiles that are often accorded unwillingly and afterwards regretted. Flattery, even in the eyes of the world, is one of the most debasing of falsehoods. Not even in the presence of the greatest earthly dignitaries, will an honest, upright man sanction with his mouth that which he condemns in his heart. He who sacrifices to vice the rights of truth not only acts unlike a Christian, but renders himself unworthy the name of man. 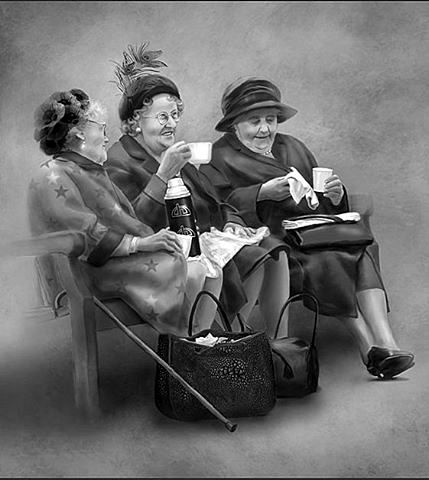 In small social gatherings try to make yourself agreeable to everybody present and to show to each some little mark of attention, if you can do so without affectation. This may be done either by directly addressing the person or by making a remark that you know will give him occasion to speak of his own accord,—draw him out, as the saying is. It was by the charm and urbanity of his conversation that Saint Francis de Sales prepared the way for the conversion of numbers of heretics and sinners, and by imitating him you will contribute towards making piety in the world more attractive. In regard to priests you should always testify your respect for the sacerdotal dignity quite independently of the individual. Disputes, sarcasm, bitter language, and intolerance for dissenting opinions, are the scourges of conversation. Generally speaking, it is wrong for those whom God does not call to abandon the world, to seclude themselves entirely and to shun all society suited to their position in life. God, who is the source of all virtue, is likewise the author of human society. Let the wicked hide themselves if they will, their absence is no loss to the world; but good people make themselves useful merely by being seen. It is well, moreover, the world should know that in order to practice the teachings of the Gospel it is not necessary to bury one’s self in the desert; and that those who live for the Creator can likewise live with the creatures whom He has made according to His own image and likeness. Well, again, to show that a devout life is neither sad nor austere, but simple, sweet and easy; that far from being for those in the world an impediment to social relations, it facilitates, perfects and sanctifies such; that the disciples of Jesus Christ can, without becoming wordlings, live in the world; and that, in fine, the Gospel is the sovereign code of perfection for persons in society as well as for those who have renounced the world. “You ought not to feel worried, it seems to me, in regard to those diversions in which you cannot avoid taking part. I know there are those who think it necessary that one should lament about everything, and restrain himself continually by trying to excite disgust for the amusements in which he must participate. As for me, I acknowledge that I cannot reconcile myself to this severity. I prefer something simpler and I believe that God, too, likes it better. When amusements are innocent in themselves and we enter into them to conform to the customs of the state of life in which Providence has placed us, then I believe they are perfectly lawful. If all confessors agreed in instilling these maxims, which are as important as they are true, many persons who now keep themselves in absolute seclusion and live in a sad and dreary solitude would remain in society to the edification of their neighbor and the great advantage of religion. The world would thus be disabused of its unjust prejudices against a devout life and those who have embraced it. Never remain idle except during the time you have allotted to rest or recreation. Idleness begets lassitude, disposes to evil speaking and gives occasion to the most dangerous temptations.